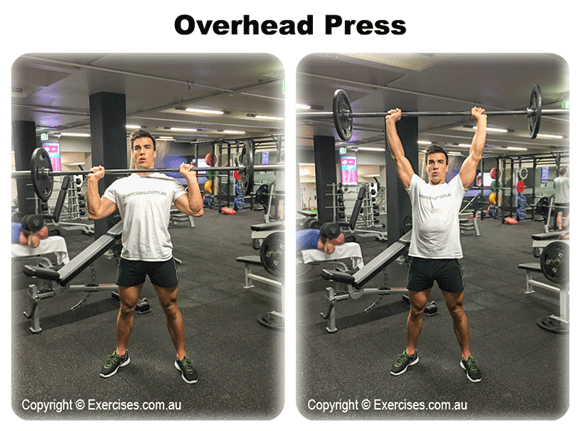 Overhead Press is an excellent compound exercise that builds the shoulders, upper back, triceps and the core muscles. Overhead Press will also develop strength, coordination and balance. 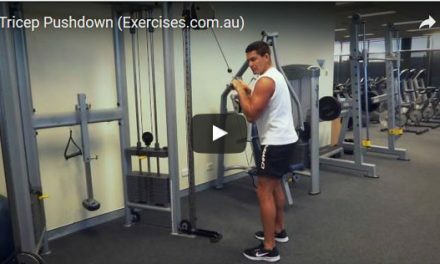 This can be the primary exercise in your shoulder rotation. You can use moderate to heavy weights as long as you follow good form and technique. Take a wider than shoulder width grip on a barbell and bring it up to your shoulders. Make sure your elbows are directly under your wrists and that the bar is sitting on your shoulders and across the chest. Your feet must be shoulder width apart and keep a slight bend in your knees. Push your hips slightly out to keep a flat back position. Push your chest out. Tighten your core and put your weight on the heels of your feet. Press the weight up in a straight line. At the top position, go for the full range of motion by pushing your shoulders up higher. Do not lock out your elbows. Bring the bar down to your chest by resisting the weight and following the same bar path. The bottom position of the Overhead Press is the area between your chin and nose. The biggest mistake when doing Overhead Press is pressing with the wrists not aligned with the elbows. This causes undue stress on the elbows, wrists and shoulders. Do not allow the bar to drift forward and come out of the straight-line bar path. This happens if you round your shoulders at the bottom. Keep your shoulders down at the start position. 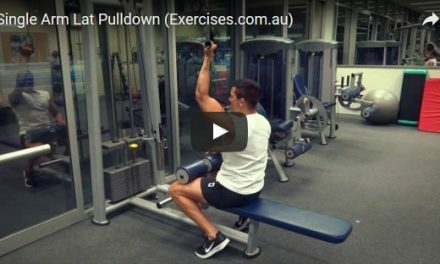 Adding the extra push at the top of the exercise will give you better development in your shoulders.